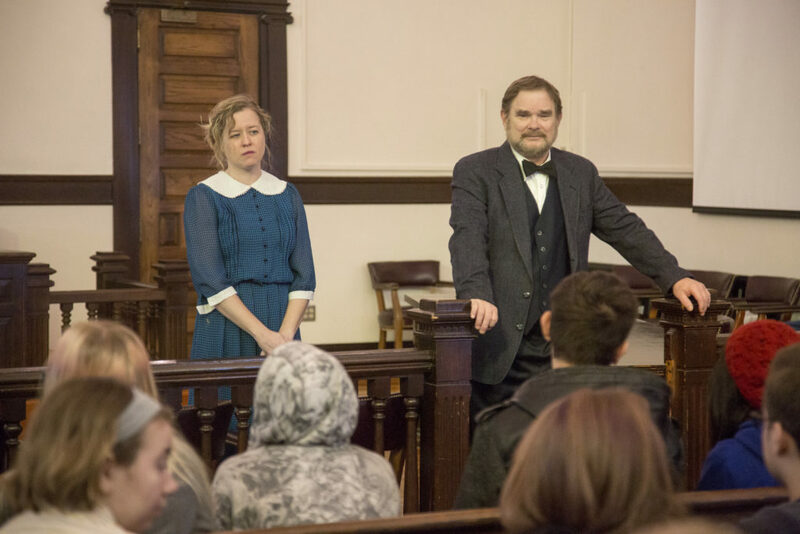 From left, Lawrence Arts Center performers Elizabeth Sullivan and Ric Averill answer questions from Lawrence High students after a re-enactment of key chapters from “To Kill a Mockingbird,” Wednesday, Feb. 10, 2016, in the old courtroom at the Douglas County Courthouse. Sullivan and Averill played the parts of Mayella Ewell and Atticus Finch respectively. High school students filed into the old courtroom at the Douglas County Courthouse Wednesday morning, and took their seats as jury members at a trial that has played out many times before. Usually, the trial that is central to the novel “To Kill a Mockingbird” proceeds with the turn of pages, but on Wednesday Lawrence High students became part of the scene. “From the minute we walk into that courtroom, it’s 1935 Alabama,” said Lawrence High English teacher Keri Lauxman. About 40 students from Lauxman’s freshman literature classes who are currently reading the novel took part in the re-enactment of key chapters. In the re-enactment, actors were in full costume for the 45-minute scene, which Lauxman said included the testimony of Mayella Ewell and her cross-examination by Atticus Finch. The characters were played by Ric Averill and Elizabeth Sullivan, both of the Lawrence Arts Center’s performing arts program. After the performance, students had the chance to ask questions of Averill, who stayed in character as Finch, Lauxman said. 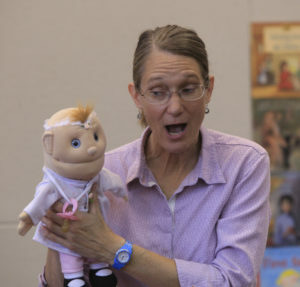 Lauxman — who in December was named this school year’s Lawrence Master Teacher — said this is the third year for the activity, which is meant to make the events of the book feel more relevant to students. Also part of making the experience more real is the courtroom itself, Lauxman said. The old courtroom has remained largely unchanged for more than a century, and still has the original judge’s dais, wooden railings and audience pews, according to a Journal-World article about its renovation. Though the chandeliers have been added, the original stained glass windows also remain. Douglas County clerk Jamie Shew, seated at far right, and Keith Clark, deputy clerk, standing, work inside the historic courtroom in the Douglas County Courthouse, 1100 Mass. The courtroom maintains the grandeur of its period but is no longer used for regular trials. This stitched panorama photograph is taken from the public entrance doors to the courtroom chambers on the north wall. The re-enactment took place in the old courtroom on the second floor of the Douglas County Courthouse, 1100 Massachusetts St.
afterschool Wednesday at 2:30 p.m.
are welcome to attend or read. – The LHS band concert is Wednesday at 7:30 p.m. in the auditorium. 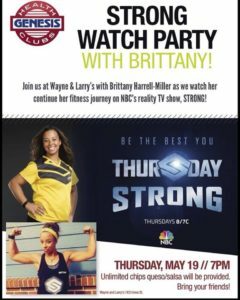 Wednesday from 1 p.m. to 2 p.m.
show will be held at 6:30 p.m.